Hi Friends! I was given the opportunity to create one of my favorite flowers; cherry blossoms! 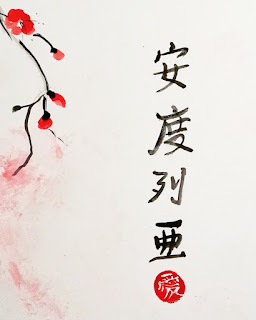 I have made many paintings of cherry blossoms in the past. 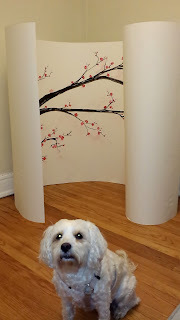 A few years back, I created a large painting of a cherry blossom branch. At the time I though it was huge, but this time the commission is size 48 x 118 inches. The paper size was about the same length as the room in my apartment, so I had to roll up the ends of the painting. It was certainly a challenge that I welcomed with open arms. Plus it was a full body experience. I started with one long brush stroke. I slowly added branch arms. Followed by the spongy pink background. 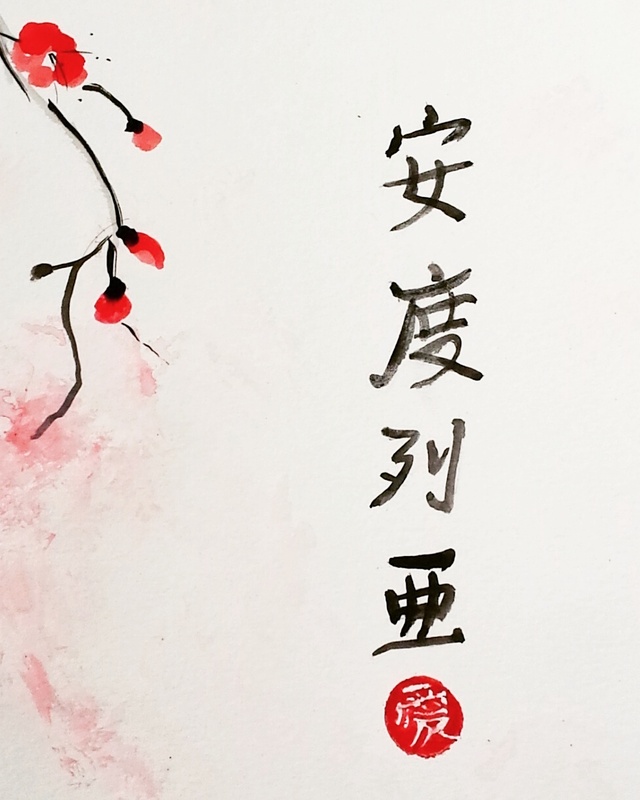 I then added the Japanese Kanji Symbols which stand for Andrea Love. I made my own stamp out of wine cork. I hope you enjoyed my process as much as I enjoyed creating it.